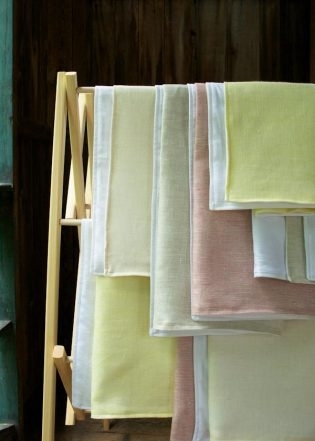 The beauty of these Waffle and Linen Hand Towels belies how super quick they are to make. It turns out that in the time it would take you to go to the store and pick something from a wedding registry you can handcraft a truly lovely gift… but nobody has to know that! Bespoke objects are always more special than a blender, no matter the time (or lack thereof!) that they take to create! Simple patterns like this call for spectacular fabric, and our Waffle and Linen Hand Towels deliver. 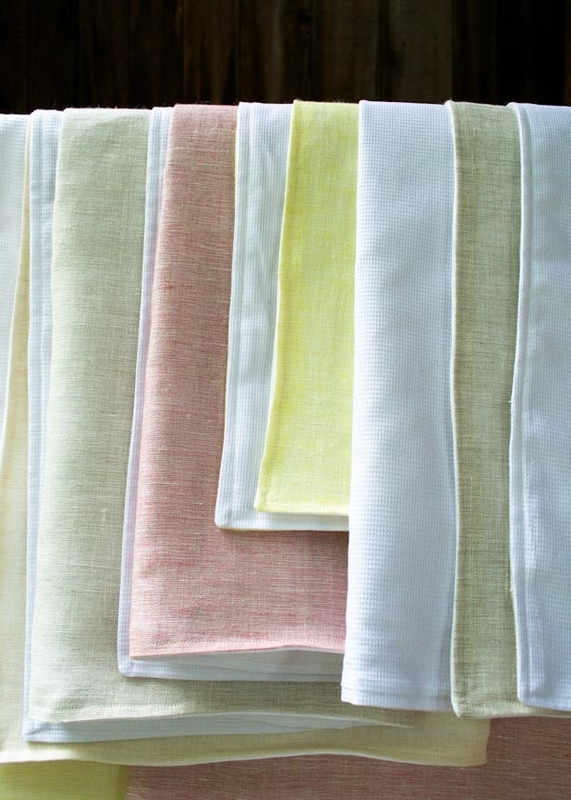 We paired Robert Kaufman’s soft and absorbent Baby Waffle Pique with Globalweave’s elegant Duo Woven Linen to create a unique juxtaposition of cuddly and cultivated. 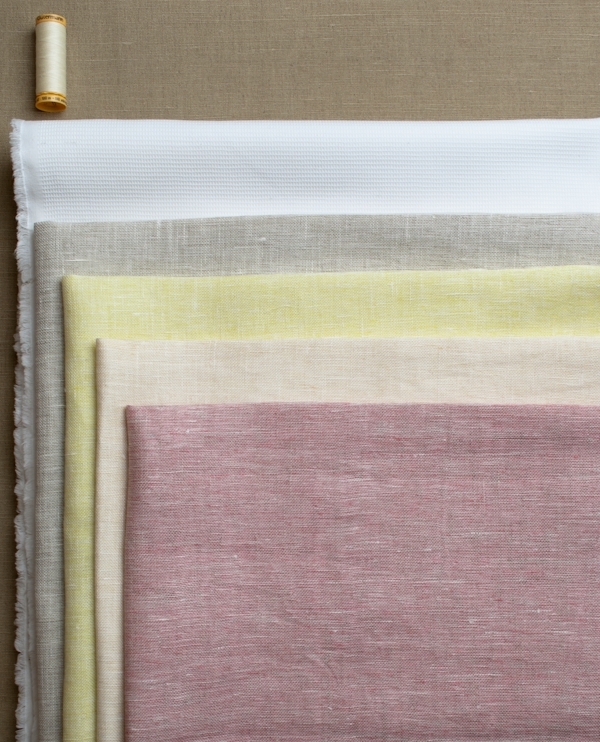 One bumpy and one smooth, these two fabrics are made for each other! 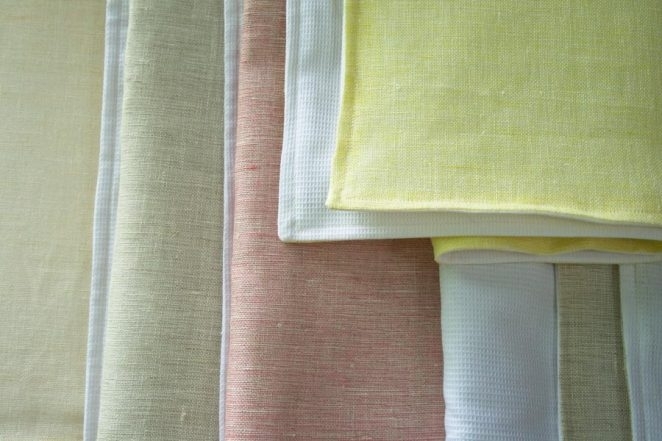 1 yard of Globalweave’s Duo Woven Linen from India in White, Yellow, Cream or Pink. 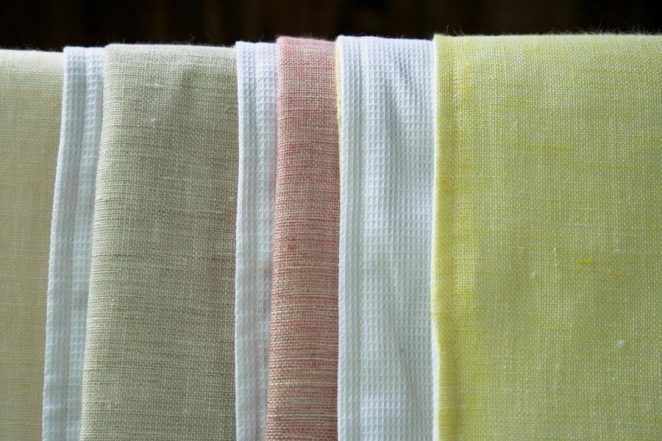 We always recommend prewashing and drying your fabric, but in this case it’s especially important because the two fabrics are so different. Backstitch at the beginning and end of each seam. 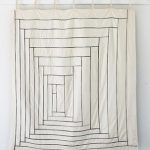 Fold the Linen in half so that the selvages meet. Press flat. Cut the piece along the fold to create two rectangles. Trim each of these two new pieces to 26 x 34 inches. Repeat for the Baby Waffle, finishing with two 26 X 34-inch rectangles. 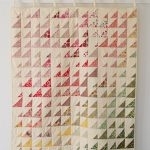 With right sides together, pin one Waffle rectangle to one Linen rectangle around all four sides. 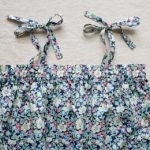 Starting in the middle of one of the long sides, sew the two pieces together with a ½-inch seam allowance. When you get to a corner, leave the needle down, pick up the foot, and pivot the fabric 90 degrees so that you can keep sewing down the next side. Stop sewing 4 inches before the starting point, leaving an unsewn gap on that side. Snip off the four corners 1/8 inch from the seam, and turn the towel right sides out through the gap. Press flat, folding the seam allowances of the gap section neatly inside of the towel. Pin the two sides of the towel together around all four sides. Using a ¼-inch seam allowance, top stitch around all fours sides (closing the unsewn gap as you do so). Again, when you reach a corner, leave the needle down, pick up the foot, and pivot the towel to continue sewing down the next side. Repeat for the second pair of cut rectangles and you’re all done! New! 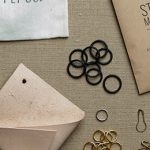 Supplies from Fringe Supply Co.
Do these wrinkle really badly when washed? Do you have a photo of one that you used and washed? They are beautiful! 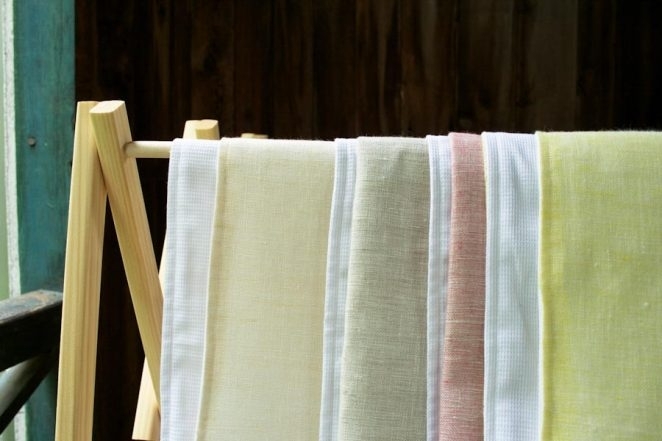 If you prewash the fabric wrinkling isn't a big issue. 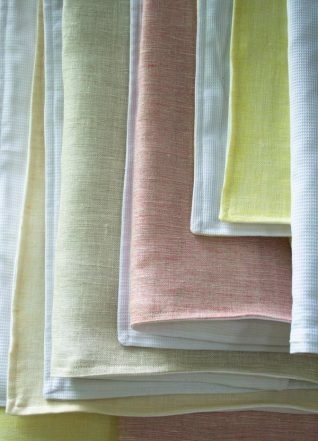 They will wrinkle just like any linen dishtowel or hand towel. 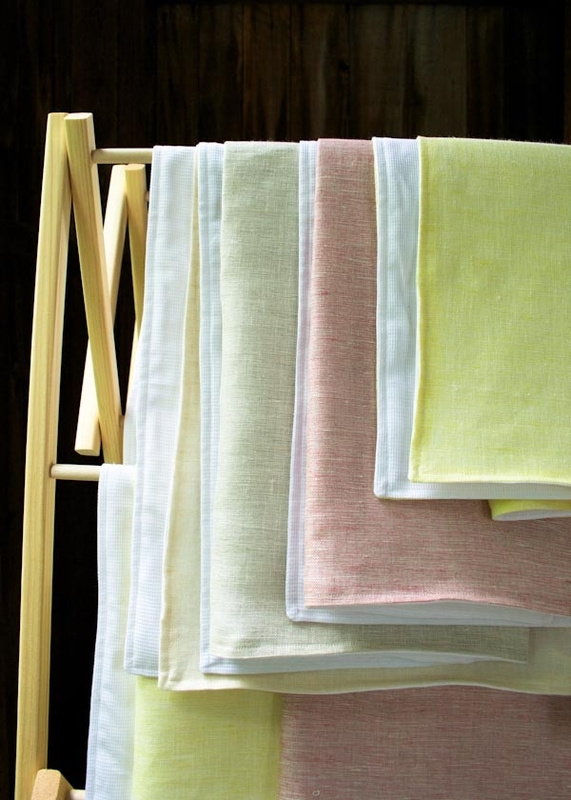 I just fold my linen dishtowels after they get out of the drier and they stay pretty neat. the slight wrinkling in the fabric is kind of pretty, I think. But you could always iron them if you want them very crisp. Absolutly beautiful!!! The color looks very bright. I love these fabric wrinkles! These are beautiful! Thank you for your amazing inspiration! Hi-lovely towels! I hoping to embroider the initial of my friend's last name on the towel-using 100% mercerized cotton thread. 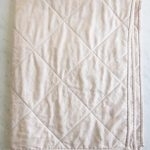 Would you recommend using a small bit of interfacing on the inside of the towel under the monogrammed letter or just go to town and embroider it? I don't think you need the interfacing, but I would recommend that you embroider the name before through the gap before you do the top stitching. Good luck and thanks for writing in! Absolutely love this project, Great job!! And Great Idea!! Plus the comments that are being posted make it easier to find out what works best for you.. Just like cooking, there are more than one way to get it done….